Welcome to the Belleville High Banks | Fastest 1/2 Mile Dirt Race Track! Welcome to The Belleville High Banks! The Countdown to the 2019 305 Nationals is ON! Jake Bubak left no question about it and the near-capacity crowd enjoyed every moment of it. 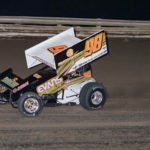 The Arvada, Colorado hotshot turned in a spotless performance atop the lightning-fast Belleville High Banks on Saturday night to snare the $7,000 winner’s share. 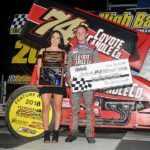 Arvada, Colorado’s Jake Bubak proved to be the class of the field on Friday night as the Untied Rebel Sprint Series-sanctioned Inaugural Belleville 305 Sprint Car Nationals kicked off atop the ½-mile Belleville High Banks clay oval. In the final tune-up for the upcoming 305 Nationals, J.D. 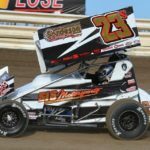 Johnson of Wichita, Kansas took the lead at the start and never looked back as he won the special Tuesday night edition of the United Rebel Sprint Series event atop the Belleville High Banks in Belleville, Kansas. Jake Bubak – 2018 Inaugural Champion! 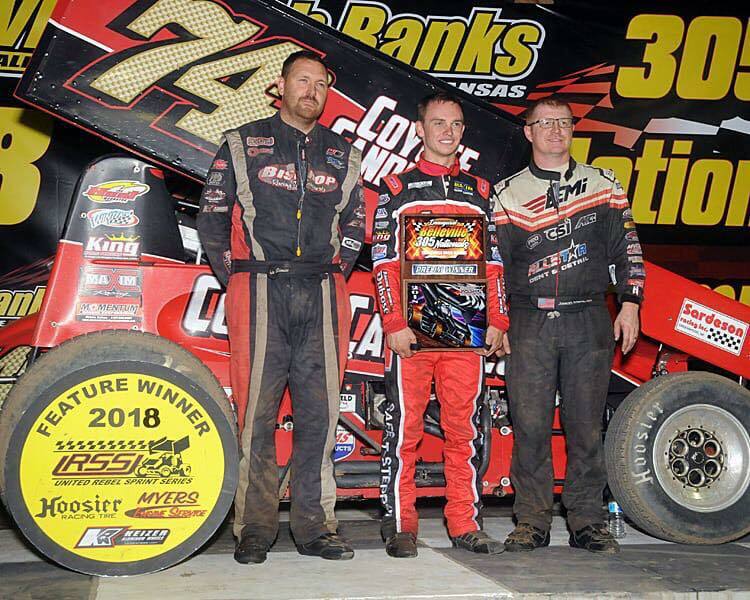 Jake Bubak (middle) after winning the first night preliminary feature. Ticket Sales Finally Open to the Public! Ticket Pre-Sale NOW Available Feb 1-28! Belleville High Banks shared a post. It’s time to start getting those entries in for the Third Annual Lubbock Wrecker Service DCRP 305 Sprint Car Nationals! Composed of clay, the “Kansas Gumbo” you see on the track (and sometimes in your lap) is just one part of the formula that makes racing on the High Banks so unique.